See the full Polar Express party post here. Your designs are amazing. I should have you teach me some of your skills. Keep up the amazing work. These are just gorgeous! Thank you so much for sharing! 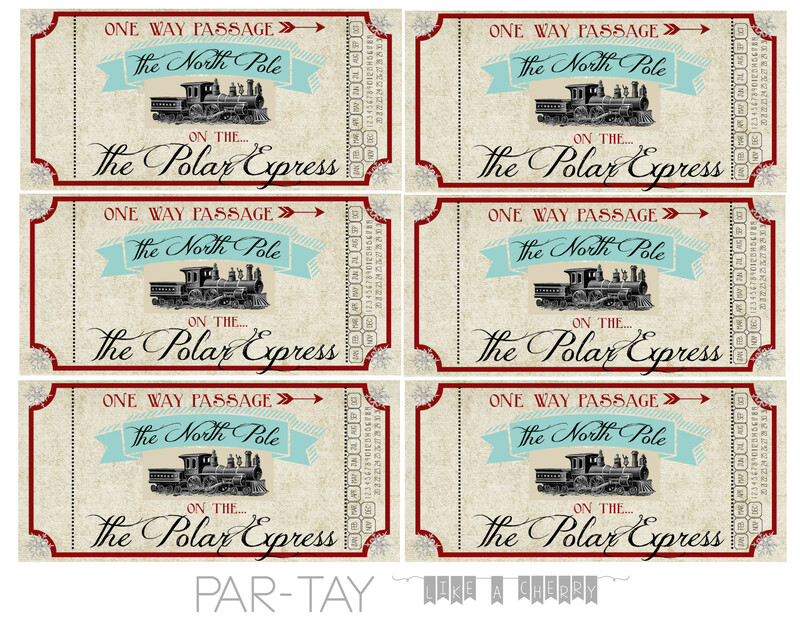 I just printed for my family to use for Polar Express night! Thank you!! How fun! What do you guys do as a family? What a fun tradition! Merry Christmas Erin! I have begun planning my 2019 party and love all your printables and ideas. Would you consider updating the tickets with 2019? Holy Moley you’re on top of it! I will update them, but probably not until October/November-ish time frame. When is your party?